Vacationers, cross-country trippers, and open-road lovers, get excited, because your life is about to get a whole lot easier. 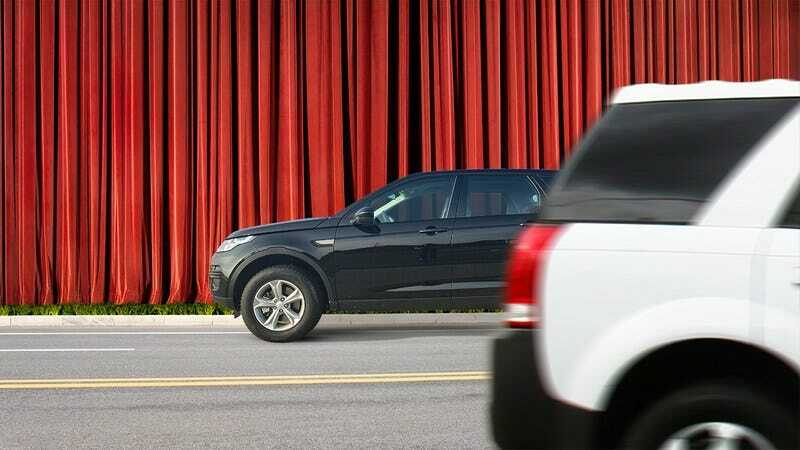 The Federal Highway Administration has announced that it will soon be installing 50,000 miles of velvet modesty curtains along the side of the nation’s highways for anyone who has to pee during a road trip. This is a major game changer for anyone who frequently has to urinate while on the go! For too long, anyone who has had to take an emergency whiz on a road trip has been forced to do so on the side of the highway in full view of traffic, making for an extremely awkward experience. But no longer: In a matter of weeks, 10-foot-high purple velvet curtains will be erected on both sides of 50,000 miles of U.S. highway, ensuring total modesty for any driver who needs to pull onto the shoulder and crawl behind one to relieve themselves. Gone are the days of toting your own curtain along in your trunk and trying to drape it around yourself while you pee next to the highway, only to have it blow away or fall down. The new curtains will be permanently available and fashioned out of heavy-duty weatherproof material, ensuring total coverage even during high winds or storms. After a failed trial program in Michigan that put flimsy Chinese-made screens along interstate 23, the Federal Highway Administration went back to the drawing board and engineered state-of-the-art, highly durable curtains that are designed to withstand even the most punishing circumstances, from frightened deer getting violently tangled up in the fabric to sleep-deprived truckers veering off the road and smack-dab into the curtain rods. These curtains are built for the long haul! Well, this is amazing news for anyone who has ever needed a bathroom break on a road trip—which, let’s face it, is pretty much everyone. Go ahead and start drinking all the coffee you want in your car, because relieving yourself on the open road will soon be simpler and more convenient than ever.